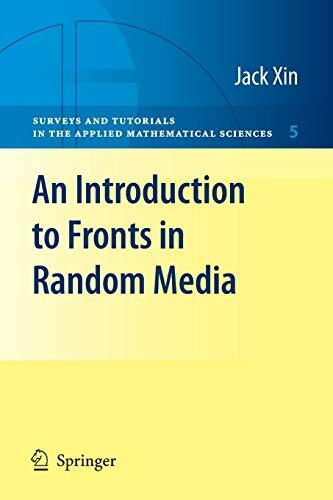 This user-friendly tutorial to Fronts in Random Media concerns both deterministic and probabilistic techniques. It offers a step-by-step approach, allowing the reader to develop tools to use in research. It includes exercises, examples and open problems.